Proudly Serving West Hartford, Avon, Burlington, Canton, Farmington, Simsbury & Beyond! Is your dishwasher leaking? Is your cooler not getting cold? When the appliances in your home start to fail, you may worry about the cost of replacing them but with Mr. Appliance of West Hartford, you can rest assured knowing that we offer affordable, personalized repairs for nearly every appliance type and brand imaginable. From the laundry room to the kitchen, our expert appliance repair technicians in West Hartford are here to help keep your appliances in top shape and avoid expensive replacement costs. We use only the highest quality parts and tools in our repair services, so you can count on us to provide lasting repairs for your appliances. We offer prompt services and personalized solution for all your appliance repair needs in West Hartford. Why Choose Mr. Appliance of West Hartford? Every service is backed by a comprehensive guarantee. Our experienced repair technicians are dedicated to ensuring your complete satisfaction. We use high-quality parts and equipment for our repairs. We offer up-front, flat-rate pricing to prevent unexpected charges. Our flexible scheduling makes it simple to book a repair service when it’s convenient for you. Want to know more? Contact our West Hartford appliance repair professionals at (860) 467-0791. Trust the Best. Trust Mr. Appliance. At Mr. Appliance of West Hartford, we want you to feel completely satisfied with our services, every time. 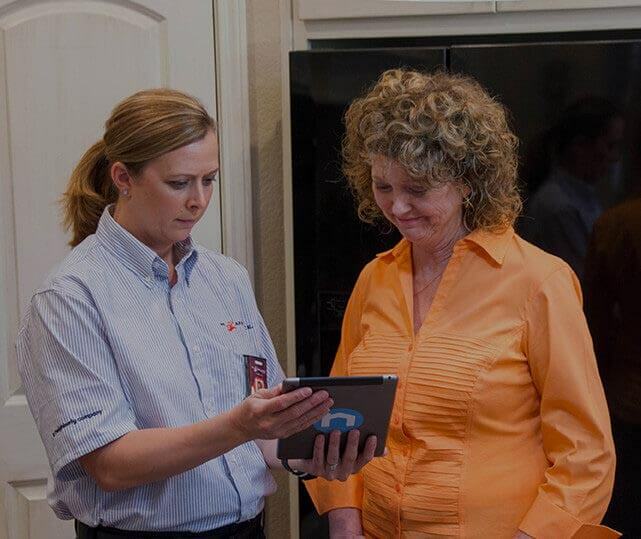 That’s why we take the time to fully train and certify every member on our team, so they’re ready to provide you with a wealth of knowledge, insight, and reliable repair services—no matter what appliance repair issue you’re facing. You can count on our West Hartford appliance repair team for exceptional customer service, as well as all the courtesy and respect you deserve. We always provide our up-front, flat-rate pricing so you won’t need to worry about dishonest price changes since we believe that you’re entitled to nothing but the very highest levels of integrity and hard work. When you need appliance repairs in West Hartford, look no further! Mr. Appliance® is here to help. Schedule your appliance repair services today! Call (860) 467-0791 to get started.